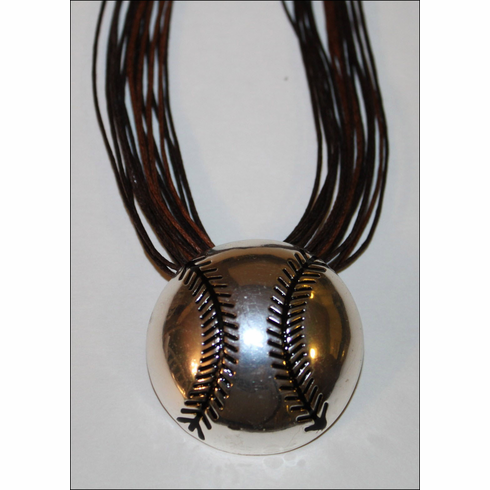 Silver tone 1.75" clip-on baseball pendant. Multistrand cord necklace in brown. 18" plus extender and lobster clasp.